Bran Castle is up for sale, but how many are aware of the property’s facts? Over the past several decades, historians have been uncovering the truth about the connection between the castle, Dracula and Wallachian ruler Prince Vlad III, Chris Laursen writes. Every year, over 400,000 people trek to Transylvania to see the place that has graced movie screens with Dracula’s presence over the decades, Bran Castle. Taken from the Romanian royal family when the Communists gained power in 1948, the castle was restored last May to Dominic Habsburg, a New York state architect who was forced to flee the country with Princess Ileana and her family. Bran Castle is noted as one of the world’s most haunted locations in travel guides. However, despite the region’s colourful history, I cannot find any evidence or anecdotes demonstrating that Bran Castle has a history of being haunted – aside from people’s own fascination with and fear of the Dracula story, legends of Vlad Tepes (the Impaler) and vampires in general. In the past few weeks, the castle has made headlines as the Habsburg family put it up for sale with a whopping $91 million US price tag, giving first dibs to the Bran town council. No doubt the council is interested in acquiring the property since it is such a huge tourist draw, but would the castle’s buyer, whoever it may be, further exploit the castle’s tenuous connection to both Bram Stoker’s fictional character Dracula and the medieval voivode Vlad Tepes? Prince Vlad III (c. 1431-1476) has been portrayed with “a variety of representations, from Vlad as a cruel, even psychopathic tyrant to Vlad as a hero who put the needs of his country above all else,” wrote Canadian historian Elizabeth Miller, one of the foremost experts on the Dracula who has found that there is minimal connection between the historical figure and Stoker’s fictional vampire. Dr. Miller is Professor Emerita, Memorial University, St. John’s, Newfoundland, Canada and is the current President of the Canadian chapter of the Transylvanian Society of Dracula, an organization which brings together serious scholars and everyday people with a common interest in vampires, Dracula and history. Many primary documents from outside of Romania called him a berserker, a term connected to Norse warriors who furiously and indiscriminately fought anyone who stood in their way as if they were in a trance. 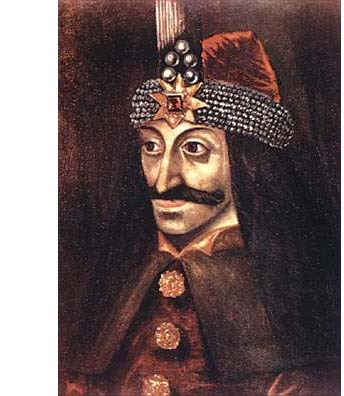 Academics studying Vlad Tepes draw from a variety of sources, including German, Russian and Turkish written sources describing ultra-violent behaviour and establishing Vlad’s notoriety as one who did not hesitate to impale his enemies and countrymen alike. They also draw from Carpathian oral narratives that portray him as a fearless hero. Dr. Miller wrote that “he was one of a number of voivodes who contributed to the building of a strong, independent Wallachian state. He stood up against the powerful nobles and assured law and order in what were lawless times. But most of all he is remembered for standing up against the Ottoman Empire, at a time when other principalities around him were falling under Turkish control. He is perceived as something of a David facing a Goliath.” All the same, “Even his most ardent defenders will concede that he took drastic measures to achieve his political, economic and military objectives,” she added. One disturbing narrative, typical of the violence portrayed in written sources produced by Vlad’s enemies, was by the Greek historian Chalkondyles. It captures the gruesome nature of Vlad the Impaler as the Turks approached his realm: “The Sultan’s army came across a field with stakes… on which they could see the impaled bodies of men, women, and children, about twenty thousand of them…. There were babies clinging to their mothers on the stakes, and birds had made nests in their breasts.” It is hard to determine the level accuracy or exaggeration present in these documents. The common and rather misinformed view is that Vlad Tepes was the sole inspiration for Stoker’s vampire, and that Bran Castle was where the Irish author envisioned Dracula living. Most historians agree that the connection between Bran Castle and Prince Vlad is inaccurate. He may have visited or even been imprisoned in the castle for short periods, but it was by no means his “castle.” He was raised in the village of Sighisoara. His principle residence during his rule was in Tirgoviste, 80 kilometres northwest of Bucharest, and he spent much time at the fortress at Poenari. Bran Castle, 170 kilometres north of the Romanian capital, was presented decades ago to western tourists as “Dracula’s Castle,” and a booming tourist trade formed around that. 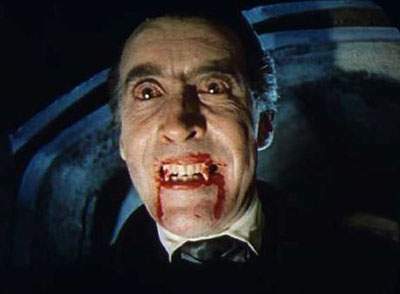 In an interview with Radio Free Europe last year, Romanian historian Zoe Petre said, “In the 1970s, Romanians realized, once they had more contacts with the West, that there is a myth of Dracula, and that this myth was somehow connected to Transylvania. They had two conflicting reactions to that. One was to defend Vlad Tepes’ true historical identity and the dignity of Romania’s past, while the other one was to try to cash in on it.” The profiteering continues to this day. In 1998, Dr. Miller edited the book Dracula: The Shade and the Shadow (Westcliff-on-Sea: Desert Island Books, 1998) - one of her many books on the topic - in which she draws the conclusion that there is not any evidence that Stoker had based Dracula on Vlad the Impaler, as is commonly believed. She described the author’s research as “haphazard (though at times fortuitous) rather than scholarly,” and although his notes show that he was aware of Vlad, the connections he made were very loose. Dr. Miller noted that Stoker had copied into his notes, “DRACULA in Wallachian language means DEVIL,” but there is little else to conclusively show from Stoker’s research notes that he had based his character on the historical figure at all. (In reality, Dracula indicates son of Dracul or son of the Dragon, the Order to which Vlad’s family belonged.) “No doubt Stoker did do some research at the British Museum,” she wrote, “but there is not a shred of evidence that he did any of it on the historical Dracula,” openly adding, “Now, he could have. The material was certainly there.” From her research, Stoker’s notes show that he drew from a variety of sources, but nothing specifically related to the history of Vlad Tepes. So buyer beware. No doubt Bran Castle holds a great deal of important history, but such connections to Dracula and Prince Vlad were invented culturally as ways to draw tourists into a place that, without a doubt, has a cold, spooky atmosphere. Whoever buys the famed castle will no doubt make good money if it remains a public attraction, but the costs of keeping up the property will be great as well. It will remain a place divided between historical fact, the impressive imagination of one of the founders of the horror fiction genre and the tourists who are drawn to it. 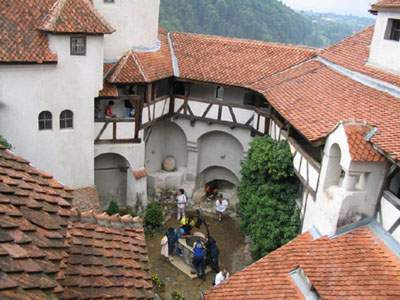 The courtyard at Bran Castle from BEST Brasov tourist website. Portrait of Prince Vlad III in the Innsbruck Ambras Castle. Christopher Lee starring in the 1958 film Dracula, directed by Terence Fisher.